This is not a full logo process post as this particular logo design was born whilst working on a previous logo project ’52 Keys’. I’ll just run through the thinking that got me from one logo design to doing something different. This often happens, whilst working on one project, exploring options, sketching and tweaking vectors, playing with type, twisting and turning objects in a seemingly random manor until something tangible appears. Usually this ‘something tangible’ has nothing to do with the logo project I should be focusing on, but a totally new idea and concept. The same thing happened with the ‘Hotel Chain’ logo. It serves no purpose other than to fill my portfolio. Fifty Two Keys was a logo project for a events management company and the name came about from 52 weeks in a year, events happening each week of the year. With an emphasis on music, hence keys. One of the concepts was trying to style the wording to look like piano keys. Not an original concept, but trickier due to the number of letters. Realising this was near impossible, I focused on trying to single out a few letters instead, namely the ‘y’. To cut a painfully long story short, I abandoned this idea completely for Fifty Two Keys, but not before I glimpsed a rather fun concept idea and pulled this kicking and screaming from the ashes. Before I had the actually ‘keyboarder’ idea or name, I was merely fiddling around with the ‘key’ portion of Fifty Two Keys. Determined to find an idea in there somewhere. A quick fiddle with the ‘y’ first gave birth to the middle idea below. A rather fugly descender, but it did look like a key, and looks even better in reverse. Then from somewhere I saw the potential for a human form, then moment I saw that image, I then saw a dinner jacket type look. 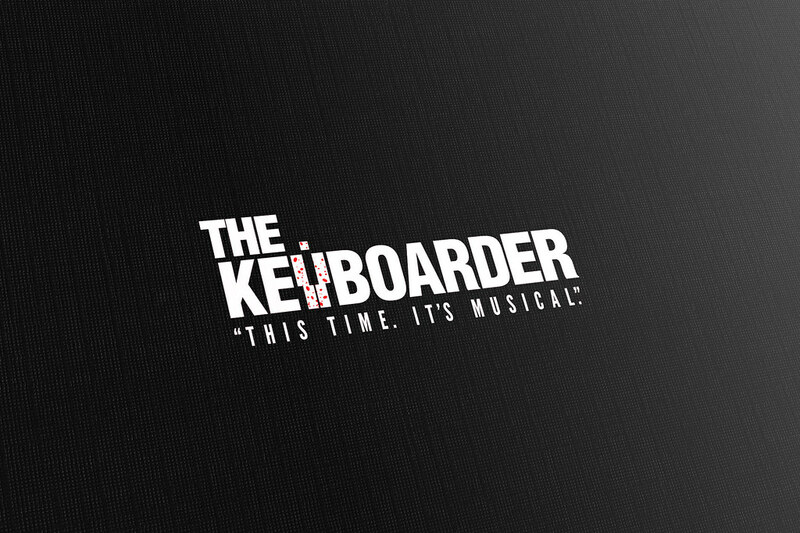 From this, the name ‘The Keyboarder’ evolved which was a perfect fit for this idea. But ‘The Keyboarder’ was headless, this quickly stirred my mind, this is rare, and I conveniently plopped a square dot on top. Ta daaa. A human form, with head and black suit. The things that go on in my mind is not something you would ideally want to see, it can get messy. Needless to say, my mind was now kicking into overdrive, figuring out how far I could take this idea, maximise it to the max. 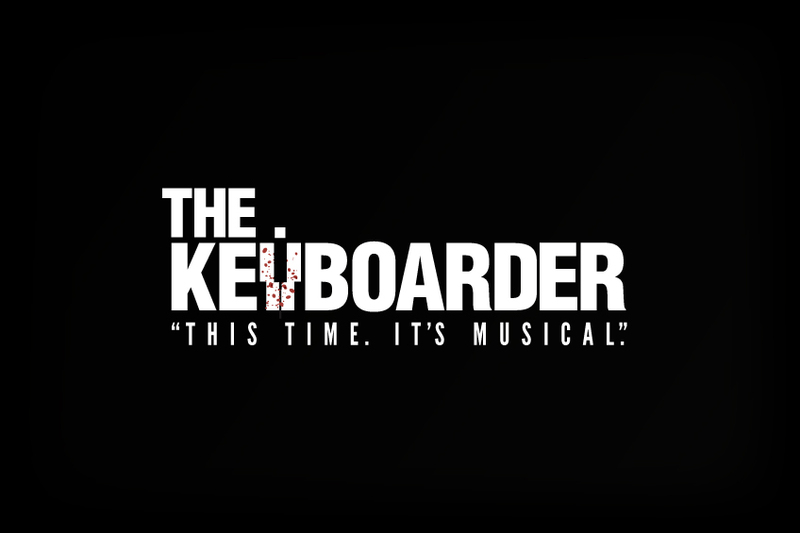 Thinking along the lines of ‘The Godfather’, I imagined that ‘The Keyboarder’ was a musical genius but also a evil musical killer. 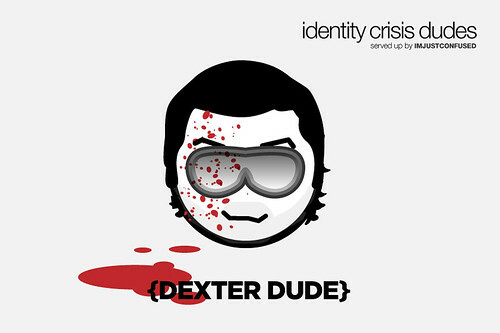 Think Dexter. A seedy evil person playing in clubs and grimy bars, sitting at his keyboard, carefully observing the audience, looking for his next victim. So character history established, I was missing a few essential details to really create this killer vibe. Borrowing from my Dexter Identity Crisis Dude, created some blood splashes and voila, Mr Keyboarder after a fresh kill, dressed in his black suit, white shirt and tie. The seemingly stocky shoulders help give this little character a sense of presence, quite formidable. All that was left was a suitable tag line. From somewhere in my head, the quote from Jaws The Revenge appeared “This time… it’s personal”. Swap ‘personal’ with ‘musical’ and job done. 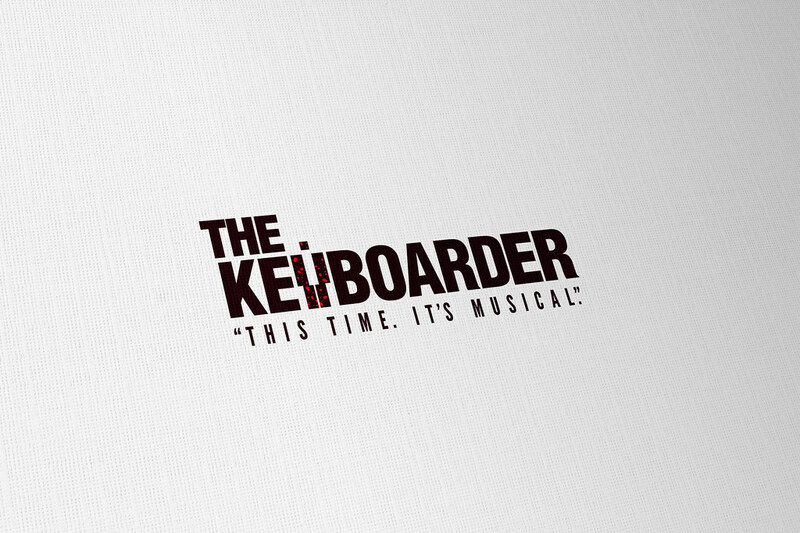 The Keyboarder – This time. It’s Musical. Oh, and mustn’t forget. I used Helvetica Neue Black Condensed. If you are interested in reading further logo development articles, then you can view a selection from recently completed logo design projects.